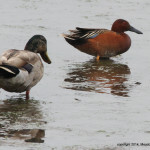 Judging from reports (and lack thereof), the Cinnamon Teal has not been seen today. Nor has a Black-necked Stilt reported at DeKorte yesterday. Bird was found by NJMC Naturalist Emeritus Don Smith Friday morning. 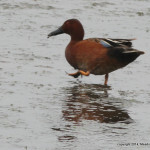 Could be a released/escaped bird, but no bands on legs. The equivalent time of the sighting on Saturday would be 11 a.m. or so. Please e-mail Jim Wright at jim.wright (@) njmeadowlands.gov if you see the bird — and please share any photos. 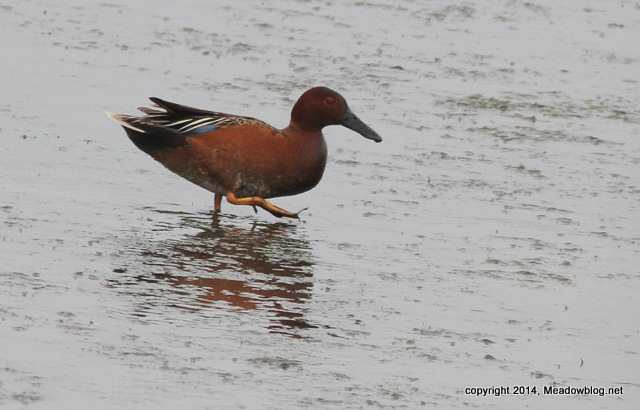 More on Cinnamon Teal here. 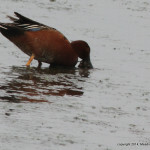 Scroll down blog or click here for map of where teal was seen.